You can mix a lot of things – from fruit to nuts – into a batch of brownies for added texture and flavor. You can also mix in a whole candy bar, which is what My Baking Addiction did to create these Twix Brownies. Regular brownie batter is prepared and it is filled with a layer of chopped up Twix bars. The candy bars’ combination of shortbread cookie and caramel layers adds both texture and flavor to the brownies. To further highlight the caramel, the brownies are drizzled with an easy-to-make caramel sauce before serving. A cupcake is sure to put a smile on your face, but a brightly colored cupcake will do the trick even faster. Culinary Concoctions by Peabody‘s Pink Ombre Cupcakes with Strawberry Buttercream. These pink cupcakes are dyed with several, graduated shades of pink that give them a very dynamic effect. The cakes themselves are simple vanilla, but they’re topped with strawberry buttercream frosting that ties in very nicely with the color. You could try for the same effect with other colors, as well. Dulce de leche is a thick, sweet milk caramel that can be downright irresistible. The Dulce de Leche Cheesecake Squares from Technicolor Kitchen are just one of many great ways to utilize the caramel in the kitchen, and unlike some other recipes, this one really allows the dulce de leche to be the star. These bars start out with a buttery cookie crust that is topped with a dulce de leche and cream cheese mixture. The filling is baked in a water bath, but it has a little gelatin to help it set up as it cools, so you know it is tender. The finished cheesecake is very rich and creamy, with a strong flavor of dulce de leche to it. Peanut butter, Nutella and Biscoff spread are three very popular sandwich and snack spreads. All are addictive on their own, but when you put them together, you get something over-the-top. Mississippi Kitchen‘s Layers of Love Torte is made with three mousse-like layers that are made with Peanut butter, Nutella and Biscoff spread. The mousse is contained by an Oreo cookie crust, which adds a nice contrast in color and flavor to the dessert. 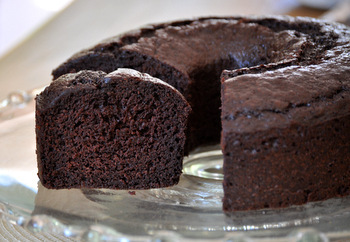 It looks elaborate, but the torte is actually quite simple to make, though it must be prepared ahead of time and refrigerated or frozen until ready to serve. Rocky road ice cream is chocolate ice cream that is studded with pieces of almonds (or walnuts) and fluffy marshmallows. The flavor combination can be extended to all kinds of other sweet treats, too, and the Rocky Road Donuts from Steph’s Bite By Bite are a perfect illustration of this. These chocolate donuts are topped with a layer of marshmallow frosting and topped with a coating of finely ground almonds. The cake-like donuts are baked in a donut pan before being frosted and have no added fat in them, unlike deep fried donuts. They’re suitable for breakfast, dessert or any time you need a snack to go alongside a cup of coffee. 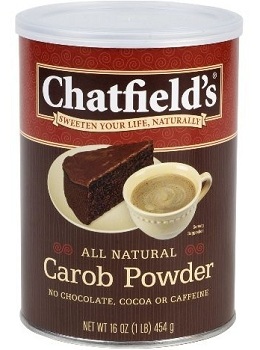 Previous PostPrevious What is carob? Nic, thank you for the shout out! But, in fact, the cheesecake is baked in a water bath. It sets beautifully that way.